In general, n! is the product of all the counting numbers beginning with n and counting backwards to 1. We define 0! to be 1. 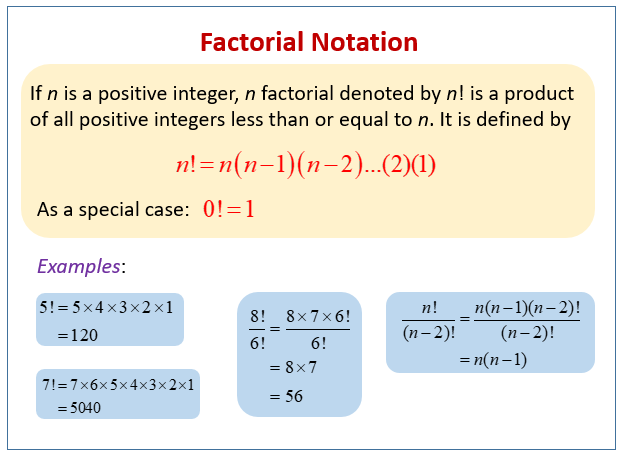 The following diagram describes the factorial notation and gives some examples using factorials. Scroll down the page for more examples and solutions using factorials. Some basic information on factorials and shows how to evaluate some factorial examples.